Ok, so I’m not the most consistent writer. Life happens. And my audience has enough to read, so it’s not sorely missed. It’s truth, right? Once in a while though, a little motivation comes my way and it seems like putting words down on paper has got to happen. This really hasn’t been much of a winter, yet. We’ve had some snow, some rain, ice and everything in between. Each time it’s a little surprise, even if we know it’s coming. 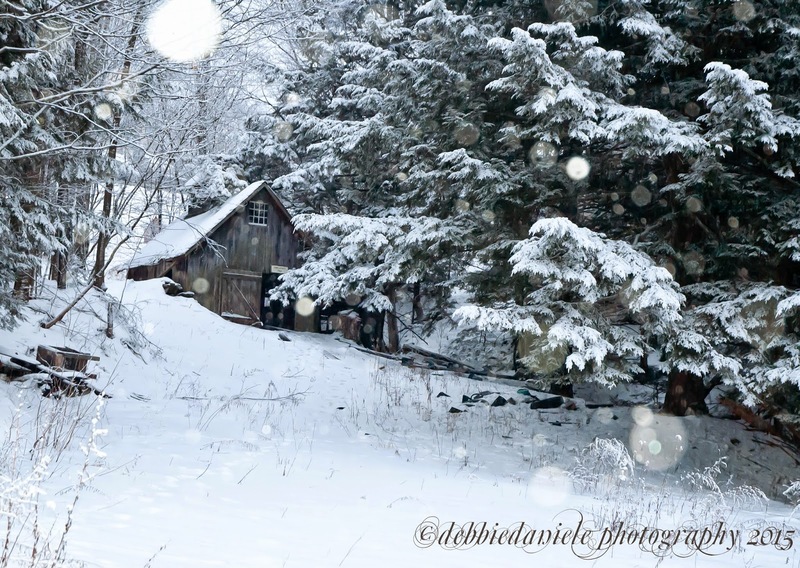 It creates this twinge of excitement thinking about being snowed in with the wood stove going all day and a pot of chili cooking or snuggled up under just the right blanket with just the right book. It hasn’t gotten to that point yet. But we eagerly await the magic. I was surprised early one day as we ventured to the radio station for an early shift. It was precipitating, not quite snow, not quite rain. As I exited the car, just to the right is a line of trees, leafless now, but full of berries. Bright red. The colors were so vivid, so frozen in time. And this day, ice covered. 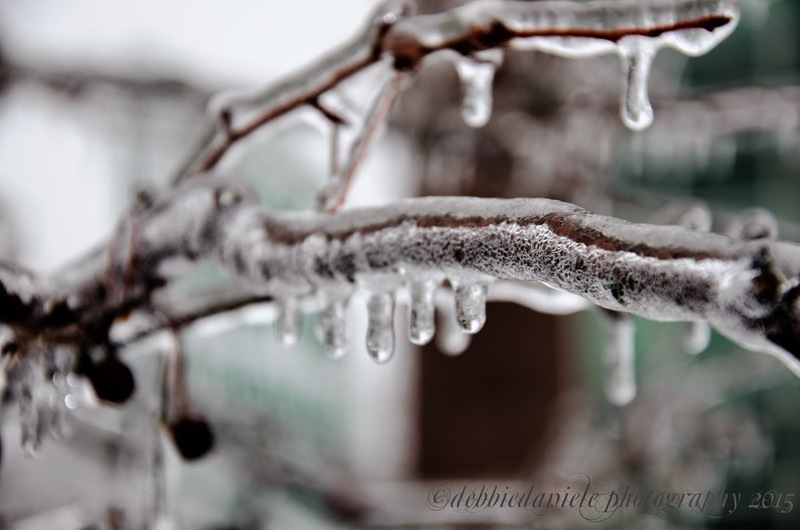 Thankfully I had my camera and quickly set up to take shots of the iced branches and berries. Not as easy as I thought since the light bounces all over. 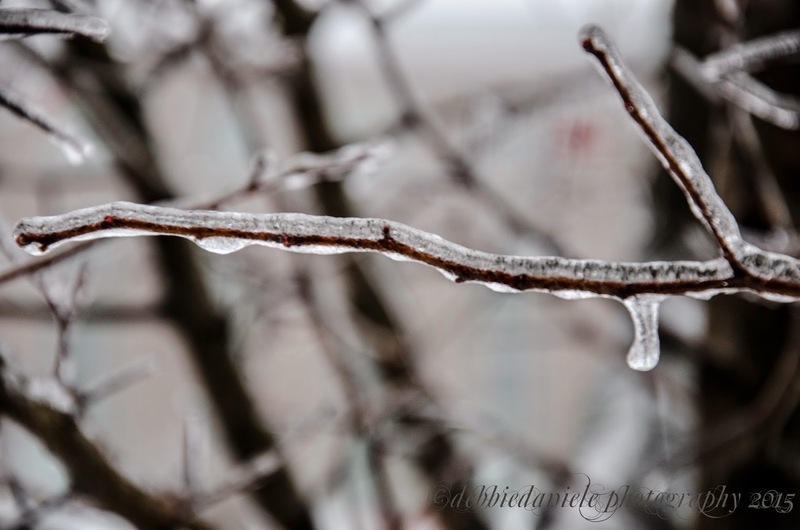 But there it was, tiny delicate twigs carefully wrapped with ice, protecting it from what, the cold? It seemed so. 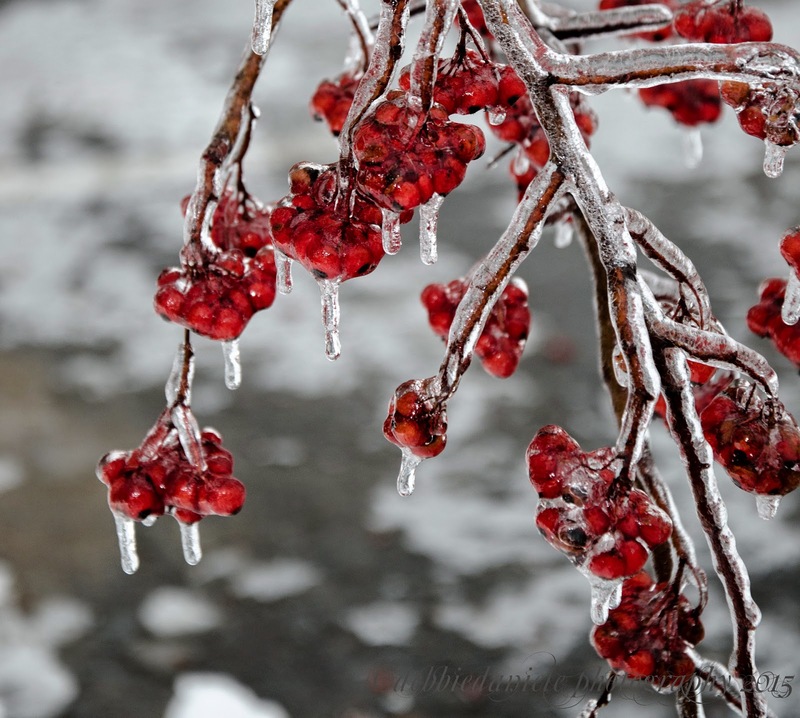 And the berries, still perfectly red and plump, encased in a layer of ice, clustered together for what, warmth? It seemed so. I’ve always loved bare trees and how the branches are this intricate pattern of lines and angles and are so hidden when the tree is in full bloom. 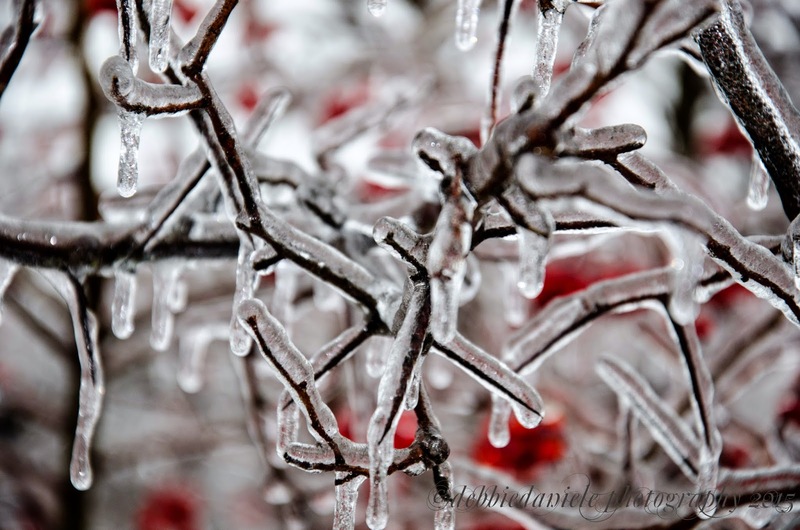 But this day, those twigs and branches weren’t hidden, in fact they were magnified under the glaze of ice, each tiny extension exudes strength under this cold, frozen support. Many would never have been seen if it weren’t for the magical covering that made each one a work of art in itself. 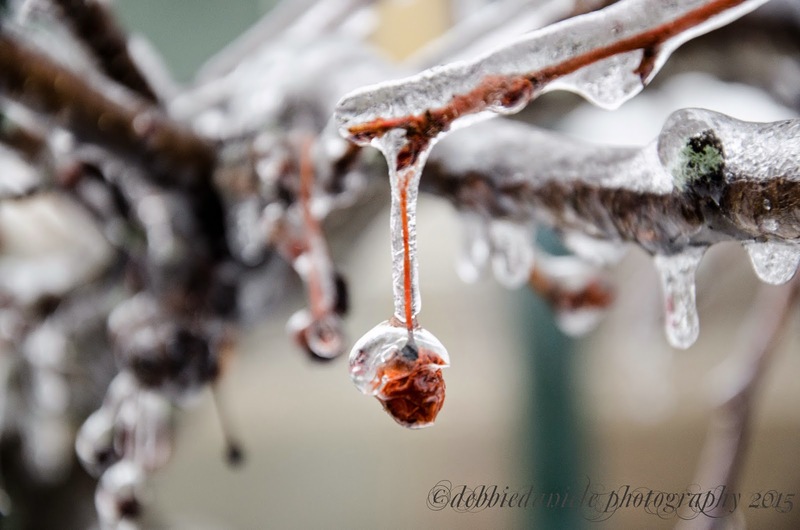 Of course, there was the occasional icicle hanging from it getting longer as the day passed. The temptation was to break if off and pretend it was a popsicle. Remember the scene in the Wizard of Oz where Dorothy and the others were running through a poppy field and they fell asleep? And what woke them was snow. 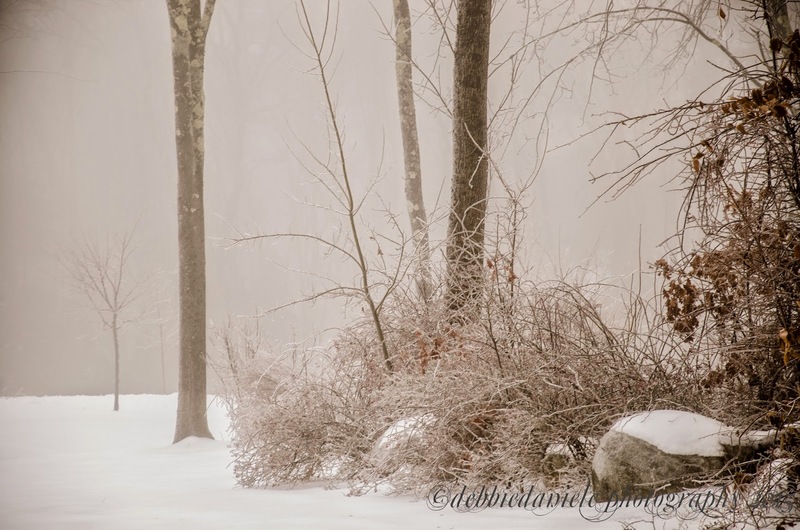 Gently falling, soft, beautiful snow. Watching it as a child, there was magic in that snow. It represented something very special. I remember years ago having a dinner party and was so intent on preparing part of the meal on a grill. But it kept pouring rain, we thought it would never stop. As I prepped the rest of the food, I noticed that it had quieted down, no more hard rain hitting against the windows. It seemed strangely quiet. Looking out the back door, I saw this sheet of white snow falling from the dark sky. All of a sudden I realized that my plans could go forward. Much easier to grill in the snow than in the rain! Small thing, but it seemed magical to me. 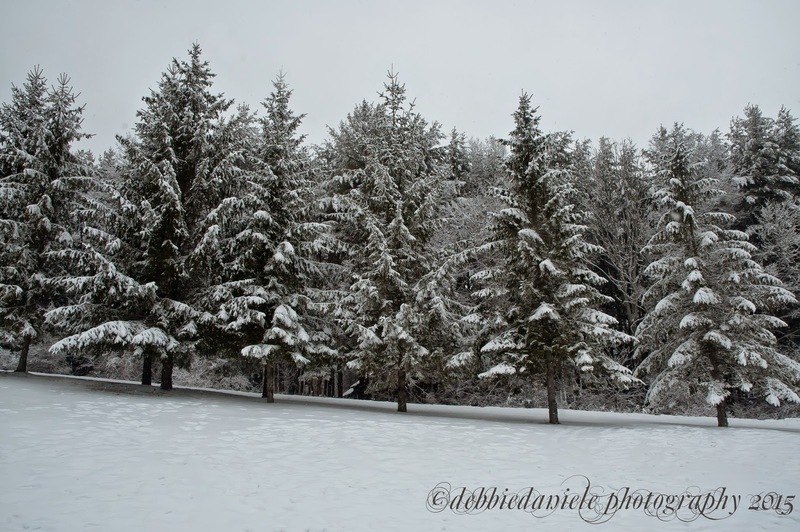 I remember all the times watching my children play in the snow, it was magical to them. With this white stuff everywhere, they could roll around in it, pile it up, make snowballs, slide on it, fall in it, throw it at each other, stomp around in it, catch it on their tongue. I loved seeing snowflakes rest on the strands of their hair or around the edges of their hats. And at the end of it all, peeling off the iced clothing, putting on warm pj's and having hot chocolate, that, too seemed magical. Have you heard snow fall? It’s pretty amazing. Light, delicate touches. Nothing short of tranquil. And there’s more magic that happens in the night after a snowfall. If the sky is clear and the moon is full, the light reflects off of the fresh fallen snow and everything glows, longs shadows are cast on the covered ground. Lights from down the street and across town bounce off the light colored landscape, making the night seem bright. But it's so peaceful. My goal is to capture that in a photo somewhere, sometime. I'm beginning to think that even though it's not really magic, it sure feels like it. And the reality is that it’s simply a gift. Eucharisteo.